A soulstone is a magical artifact in the Diablo universe which is used to contain the soul of one of the three prime evils. 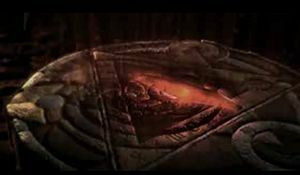 The heroes of Diablo 2 were tasked with destroying two of the three soulstones, while the whereabouts of the last one is unknown. Diablo's stone on the Hellforge. The soulstones were created under the direction of Archangel Tyrael. They are thought to have originated from The Worldstone, which was deep within Mount Arreat, destroyed by Tyrael to prevent Baal's corruption of it from bringing any further evil to the world of Sanctuary. The explosion created by The Worldstone destroyed Mount Arreat, leaving Arreat Crater in its wake. Soulstone destroyed on the Hellforge. The Horadrim were charged with keeping the Soulstones after they had successfully captured the three prime evils. They took them to three different locations within Sanctuary, in order to isolate one prime evil in the event that he should escape. Mephisto's soulstone was taken to a Zakarum temple in Kurast. Mephisto was able to take control of his soulstone, which eventually led to the corruption of the uppermost ranks in the priesthood of the Zakarum. Diablo's soulstone was taken to the Horadric monastery in Tristram. The monastery was abandoned when the Horadrim who, having no quests left to undertake, faded into legend. The soulstone was rediscovered by Lazarus - a high priest of the Zakarum - and awoke Diablo. It is thought that Diablo's awakening was indirectly caused by Mephisto. Baal's soulstone was taken to the depths of a desert temple in Lut Gholein. 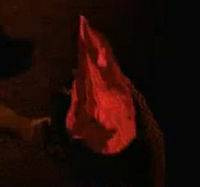 Baal damaged his soulstone before he was imprisoned, and thus the largest fragment was not adequate to contain him. Tal Rasha offered himself as an extension of the damaged soulstone, and Baal was contained. He was later freed by his brother, Diablo (The Dark Wanderer), who was accompanied by Marius. Marius held Baal's soulstone until Baal later retook it. This page was last edited on 27 November 2013, at 04:18.